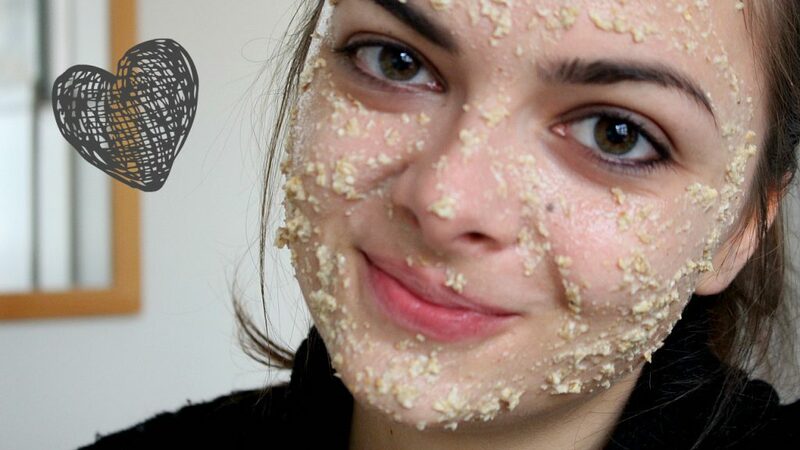 Take your oat flakes out and… put them on your face! Can food beautify? There is no doubt about it. While we were still at school, we were taught that balanced diet and supplementation of organism with nourishing ingredients is important. Healthy hair, nails and skin are best way to amplify natural beauty. Food products can have that influence also on the outside! In this article, we are going to present some of less known cosmetic uses of oat flakes. Natural oat flakes are great in removal of dead skin cells and at the same time elimination of discolourations. They can be used as a base ingredient for effective and safe body or face peeling. To make it, you need oat flakes, olive oil, honey and brown sugar. Mix ingredient however you like to achieve consistency that suits you. Oat flakes peeling should be used approximately twice a month. Ideal anti-acne preparation is in the reach. After cooking some oat flakes, do not throw away the rest that have not been eaten. Soft and overcooked oat flakes applied on face can eliminate harmful bacteria and excess sebum. It prevents further acne changes and improves skin condition. Oat flakes are not only tasty, but also great at moisturising. There is only one step that separates you from ultimate solution to flaking and dry skin. You just have to prepare oat flakes face mask. So, you will need half of glass of oat flakes, half of glass of water (mix it and leave for 3 minutes), that you have to next mix with an egg and two table spoons of honey. Oat flakes contain antioxidant, antibacterial and anti-inflammatory properties. They can also effectively remove impurities and excess sebum. What is more, they do not have to be used in their whole form. You can blend or grind them, so their use would be easier. With oats powder you can rub skin or use them as a dry shampoo. How and where to apply highlighter? Face cleanse step by step. Are doing it right? Camouflage make-up i.e. how to cover scars and spider vines?